There are plenty of opportunities for collaboration, and the course itself exemplifies collaborating, with its use of Google Hangouts, Twitter, a wiki and Listly, for lists of websites. 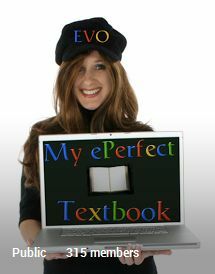 To sign up for free, go to Crafting the perfect eTextbook. The driving force behind the course is the indefatigable Shelly Terrell, together with some excellent educationalists with various experiences of ebook creation. The last time I checked, around 200 people had signed up, so it should be good! Click on the link to Community Guidelines and Navigation. That explains what to do next. Basically, it asks you to post some information about yourself and what to do in each week. You will also see on the right-hand side a link to the syllabus, and a link to the Listly bookmarks.